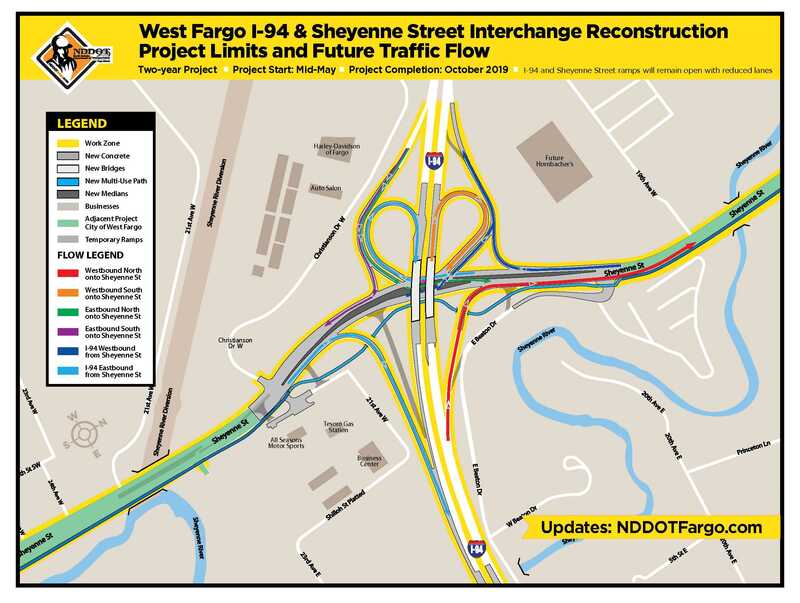 In 2018 and 2019, NDDOT is overseeing the complete reconstruction of the Interstate 94 and Sheyenne Street interchange in West Fargo. 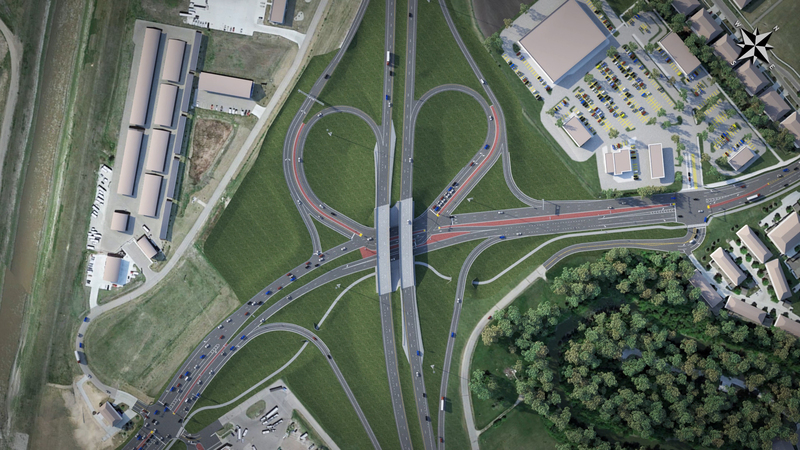 The new Modified, Single Point, Urban interchange design will be a first for North Dakota interstate system. Week of April 22: Interstate 94 is slated to shift to head-to-head traffic over Sheyenne Street on the westbound bridge until October. Ramp access to all direction of travel will remain open. Project work began in early May and has entered into winter suspension. 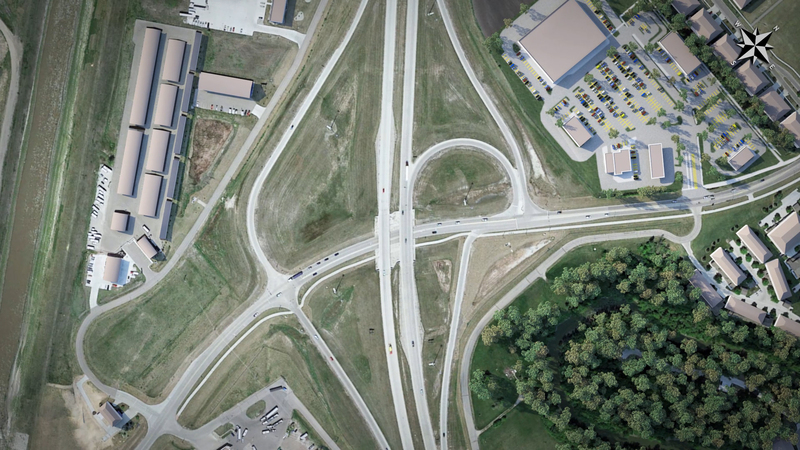 Work on the bridge over the diversion in segment two will occur during the winter months with the rest of the work on Sheyenne Street and interchange to resume in the spring 2019. Prep work for the project began in September 2017 by building the needed interstate cross-overs on I-94. This reduced six weeks from the construction timeline for 2018 project work. These cross-overs are used to help shift traffic to head-to-head on one side of the interstate for two-years of project work. Two driving lanes for eastbound and westbound I-94 are now open through the Sheyenne Street interchange. Speeds reductions are removed and posted speeds returned to 55 mph. North on Sheyenne Street (346-B): use the new westbound off-ramp to only travel north. Drivers are not able to turn left to travel south from this ramp any longer. Single lane of Sheyenne Street traffic for north and south remains under the I-94 bridges between East Beaton Drive to Christianson Drive. 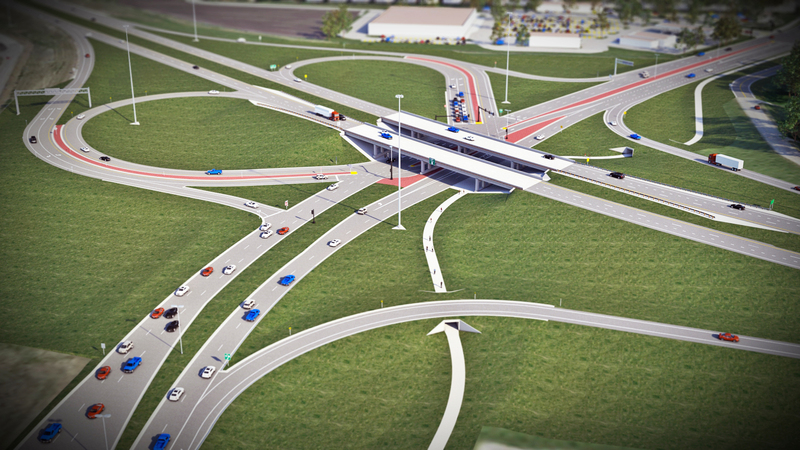 NDDOT has funded the entire interchange project with state and federal funds. Interchange project cost is $19.1 million. The City of West Fargo is overseeing the reconstruction project from 13th Avenue W to 40th Avenue W. Sheyenne Street work zone will stretch for about 2 miles. Segment 1: Sheyenne Street from 13th Avenue W. to 19th Avenue W. is open in reconstruction project limits. The new road includes two lanes in each direction and a center turn lane to ease congestion and safety concerns. Segment 2: Crews are working at the bridge over the Diversion Bridge. One driving lane is open north of 26th Avenue W. and utilize the existing Diversion Bridge in each direction. Sheyenne Street traffic is open to three lanes of traffic in each direction south of 26th Avenue W.
Segment 3: Sheyenne Street is closed from south of 32nd Avenue W to 40th Avenue South and city block south of 40th Avenue W. Local access is maintained from 32nd Avenue W to 37th Avenue E. 40th Avenue W. and Sheyenne Street intersection remains open to east and west traffic with one lane in each direction.